BINGO and nature - everyone wins! Outdoor Bingo is a great way to engage with the outdoors, and have fun to boot! 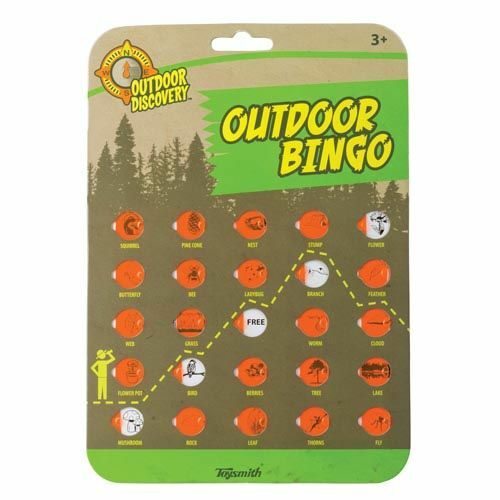 Enjoy the classic game of bingo outdoors with this nature inspired game! It's made out of thick paper stock and features sliding windows for no mess fun. Great for camping, hiking, or just in your backyard. Each card measures approx. 6.5"L x .15"W x 9.5"H.